With suture ligation, the eyelid crease is formed by placing a suture to create an internal scar. The suture is buried beneath the skin and usually is done in younger patients who wish to create a double eyelid and who don't have excess upper eyelid skin. With the external excision, the eyelid skin is marked before the surgery. Then an ellipse of skin and underlying muscle are removed to create the new crease. The incision is closed using sutures placed with a special technique to ensure symmetry and a permanent eyelid crease. Both techniques offer a natural looking crease. 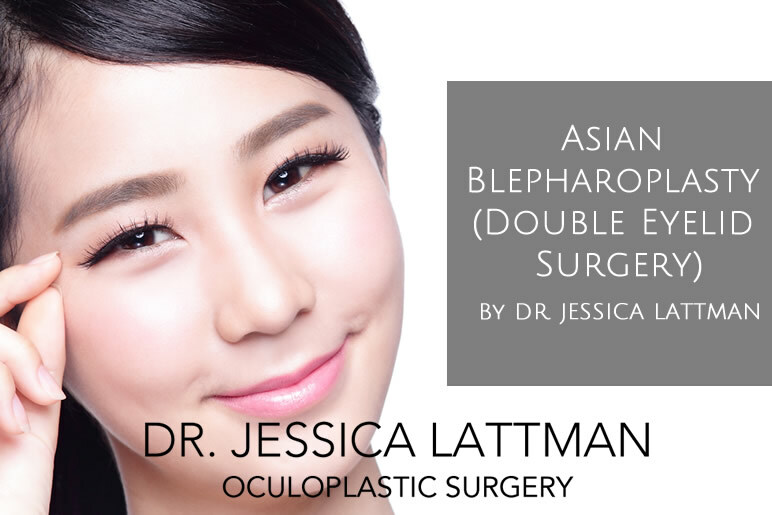 Recovery is similar to a typical upper blepharoplasty, but the surgical technique is different and requires experience with Asian Eyelids and an deep understanding of eyelid anatomy.